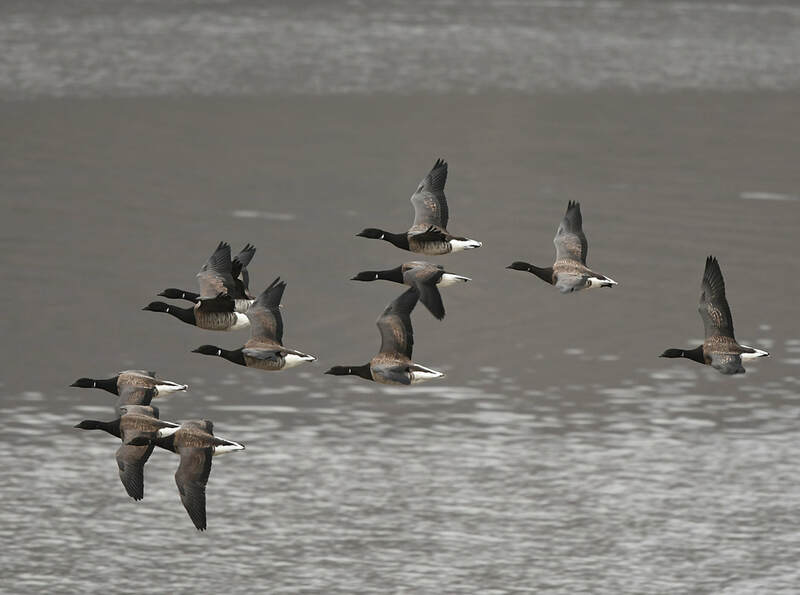 The least numerous of the Svalbard geese. 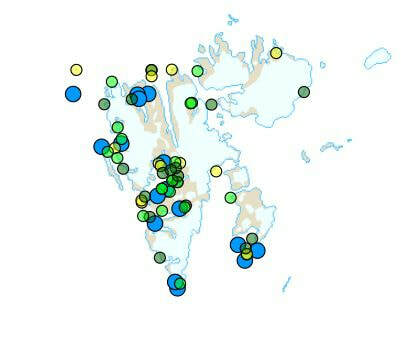 Occurs mainly on the north and east sides of the island group. Often seen in small flocks during spring and autumn migration. 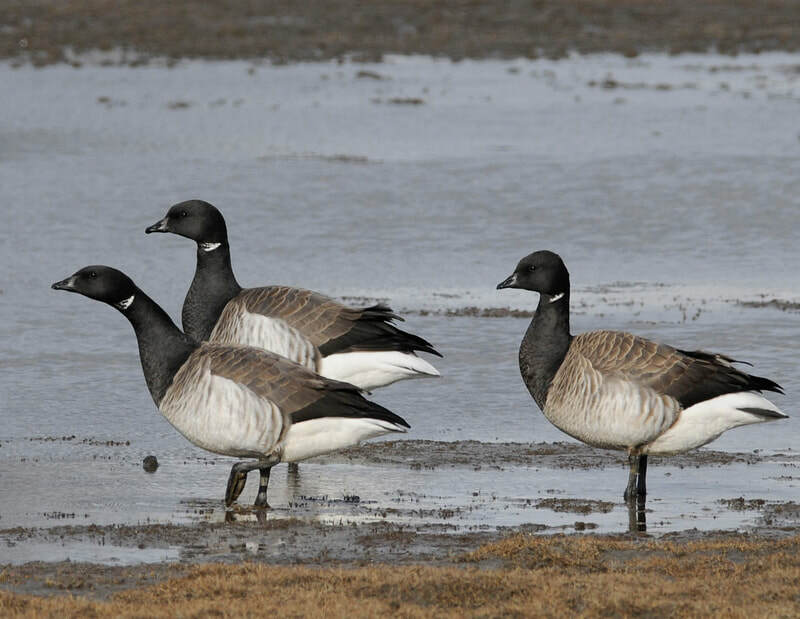 Brent Geese that nest in eastern Greenland often migrate via Svalbard during both spring and autumn migration. The total breeding population on Svalbard and eastern Greenland is estimated at up to 7000 birds. The breeding population on Svalbard is probably more than 1000 pairs. 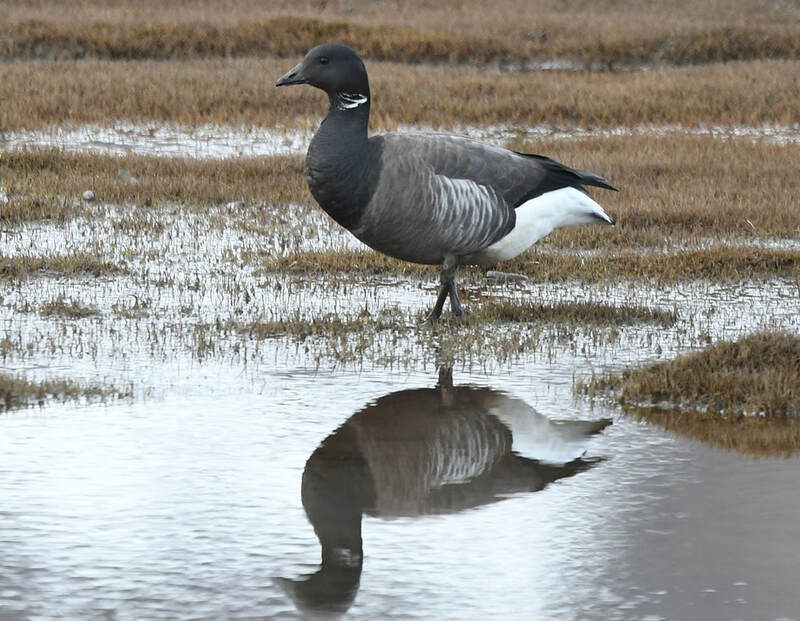 The Brent Geese on Svalbard are of the subspecies hrota and are paler on the underside (pale-bellied Brent Goose) than the nominate subspecies bernicla (dark-bellied Brent Goose). Features: 55-62 cm. ♂=♀. Small, dark goose with pale underside and white under the tail. The male (ca. 1.6 kg) is slightly larger than the female (ca. 1.3 kg). The young lack the white collar and have pale stripes on the back. The downy young are grey. 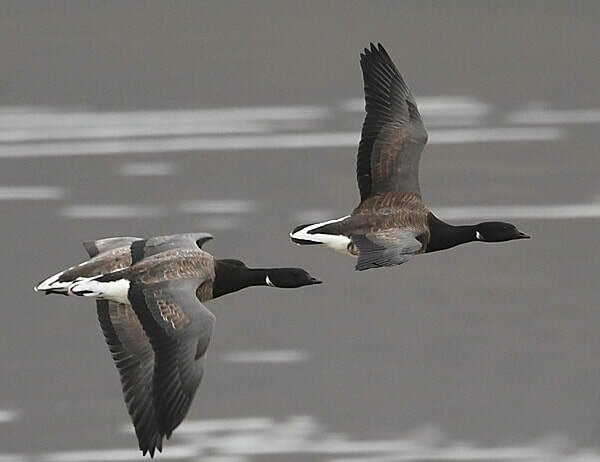 Its call is clearly distinguishable from that of the other Svalbard geese; a rather hoarse growling sound, «rrot rrot», often heard in flight. Breeding: Breeds mainly on barren flat ground in the northern and eastern parts of Svalbard. The eggs are usually laid in a hollow and lined with dark grey down. Does not breed on Bjørnøya.